She looks different from her picture posted on here. Uhh. Edson on the job. He always seems so unprepared. Foley turned over bank records for the gunman to investigators. I think that they are suing the school and two of the doctors. @ Kristle. That was what I thought too. It doesn't look like Fenton. However, I think Fenton might testify after this one. Although, I'm not sure. The Judge is losing patience with Edson. Thanks for stopping the static! @EZ: the suspense is killing me. Fenton! Fenton! In the past when there was a sidebar, the "white" noise was muted. Not happening anymore? @Resa: Our director stepped away for a moment. Edson is like a monotone robot. I understand that there is procedure and foundation and all but....act like your interested man! Why are they letting Edson up to bat? He comes across like he's new in the game and I know he isn't. DT will wipe the floor with him! 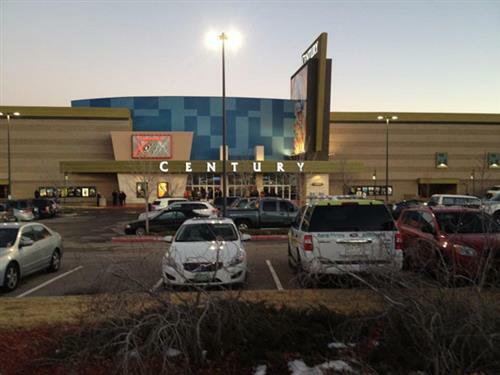 7NEWSA federal judge has set a trial date in 2016 for several lawsuits filed by survivors of the Aurora theater shooting. Judge has head in hand. Not a good posture. I'd sue the theater too!! I pray the lawsuits work in the favor of the survivors. For some reason I could not see this blog (last few court days also) so I haven't read the thread but I observed Spengler not asking this and other witnesses "Did you see ___ ever again after July 20, 2012. Also with Moser's boyfriend the way Spengler interviewed him it made it seem as if he only witnessed 3-5 shots. Victims and their family members have filed a notice of the intent to sue the University of Colorado, but that has not happened yet. How is any of this the fault of the theater? What is up with the DT almost always asking for their objections to be a sidebar??? It's annoying! Why would the theater be responsible for this? Higgs seems much more prepared than Edson. Oh, please, let this be in open court if the jury is out! Didn't JH have this shirt on yesterday?? this evidence has been litigated over the past 3 years on many levels - why is DT objecting now? why are people suing the theatre?